Credit cards are accepted in most places in bigger cities. Visa, Mastercard almost everywhere, American Express much less. Dollar notes should preferably be dated after 1993 and be in good condition. The exchange of travellers cheques into US dollars is difficult. When filming in rural areas of Russia for production purposes we highly recommend taking cash roubles. Keep in mind that 5000 bills are not welcome in small shops in small towns. ATMs exist in all major cities, be aware of charges for cash withdrawals. 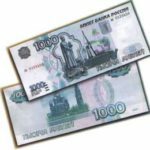 Shops: 0900-1900 Mon-Sat (Sun mostly food shops)If you wish to purchase roubles in Russia, you should take US dollars or Euros to change. However, it is illegal to pay directly for general transactions with US Dollars or Euros. Only change money at banks, hotels and airport exchange bureaus. The Russian Central Bank closed all other exchange bureaus on 1 October 2010. It is dangerous to change money from street traders. Inform your bank before you travel to Russia to avoid having a temporary stop being put on your card. Travellers’ cheques are not widely accepted. ATMs are available in many parts of St.Petersburg – ensure you inform your bank before travelling abroad, and be aware you may be charged for cash withdrawals. Therefore it is advisable to exchange some cash before arriving in St.Petersburg.